Lacey Ann Wright was not a bad person, she was a victim. A victim of horrible parents, horrible acquaintances, horrible friends and a horrible husband. She was always ridiculed, talked-down to and hit upon. Her parents hit her, her husband hit her. It was always a vicious cycle for Lacey Ann. It wasn’t easy being a single mom, but she never regretted her actions and the consequences thereof. But she was always a sucker for love, so she married. And that was all he said. She begged and pleaded with him, but it was to no avail, he tore her clothes from her and violated her right in front of Jason Richard Wright. The boy was too young to understand what was going on, but the image of his mother’s naked body always remained etched in the back of his brain. He would often look upon his mother and visualize her the way she once was and fantasize what he would do with her in that state. One year later, Lacey Ann would wait until he was asleep, and then she’d grab the shovel and bludgeon The Man in the head until he was no more a worry. With the help of her son, they buried The Man deep in the woods behind their trailer park. Lacey Ann made Jason Richard Wright promise never to speak of that night and he never dared cross his love. Jason Richard Wright thought for certain that nothing stood between him and the love of his mother, but he couldn’t have been more wrong. Lacey Ann met Buck Johnson at Greasy Todd’s Bar & Grill. It was really more of a bar than a grill, and because of that and because of its isolated location that he picked up some rowdy characters. Lacey Ann wasn’t rowdy, but she liked men in leather and the only way she could meet men in leather was leaving riverside and driving thirty minutes down the road to Greasy Todd’s. She really thought Buck was quite the looker. He came up to her and treated her “like a lady,” she’d later explain to her son. Buck was a biker. He wasn’t in a motorcycle gang, but he wanted to be. It was his only goal in life. He had two of necessary elements: a bike and leather. All he needed now was to be taking seriously. Lacey Ann took Buck seriously and that’s probably why they hit it off so well. It didn’t take long before Lacey Ann was bringing Buck home to meet her son. 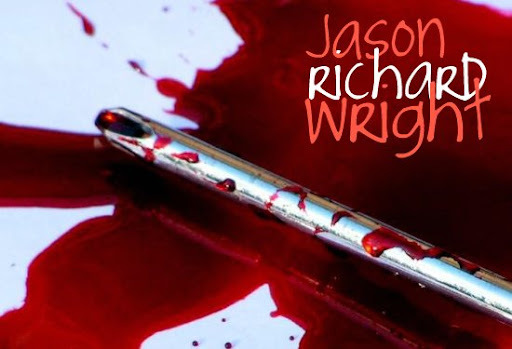 “I’m not your son,” jealousy filled Jason Richard Wright. “He knows, Jason,” Lacey Ann blushed and giggled nervously. Buck eventually moved in with Lacey Ann and her son. It was a match made in heaven, it seemed. Lacey Ann had never been happier in her life. Buck had never been happier in his life. He even forgot about his ambitions of joining a gang, being perfectly content with his new partner in life and the strange boy between them. Buck figured that he could give it time and the boy would forget any preconceived notions about him. He had high hopes and all the time in the world. He got himself a job at the local market as a butcher, it didn’t pay much but he didn’t mind. It was enough to get by. They didn’t want everything, they just wanted their family. Jason Richard Wright finally determined there was only one way to be rid of this man. One Saturday while Lacey Ann was working some overtime to cover for someone else at the diner, Jason Richard Wright took Buck by surprise. Buck removed his hand and made a concerned face, the kind adults make often in the presence of children. Standing in the woods behind the trailer park, Buck stared in disbelief at the deteriorating body in the ground. The shovel that was once in his hand was now laying in the mud next to him, it slowly slid undetected with the rain’s coercion into the shallow grave. Buck slowly examined every aspect of the body with the glow of the flashlight in his hand. Eventually, the shovel couldn’t resist anymore and it quickly fell into the shallow grave. Buck jumped at it, trying to grab it before it fell in. He slipped in the mud and fell in with the body. He scrambled about in the muddy grave, he was knee deep in a pool of mucky water. Buck bit his lip, trying not to scream in the night and draw attention to themselves. He could feel the legs of the carcass wrapping around his legs and tangling him up, and it seemed the more he struggled the deeper tangled and sunk he got. Jason Richard Wright didn’t hesitate. He took the shovel and then pulled it back in the night above his head. This would be the last clear vision Buck would ever see. The boy struck him across the head as heard as he could, knocking face down in the pool of muddy rain. He then railed constant blows upon the back of his head as it stuck out of the water. He wasn’t satisfied until he was certain there was no more movement coming from Buck Johnson. Lacey Ann could not be shared with anyone. “Hey, Squirt, where’s Buck?” She sat on the floor next to the bathtub, grabbed the washcloth, lathered some soap into it and began to scrub the boy. A tearful Lacey Ann dropped the washcloth. She climbed in the bathtub fully dressed and cried. She would cry all night. Neither of the Wrights slept that night.